Generally, DEP field employees will have a prearranged appointment before visiting a home. 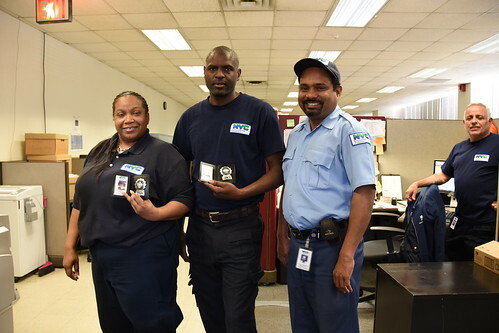 All DEP field employees travel in a marked vehicle, wear uniforms and carry badges (ID Cards). They will never ask for payment. If you are ever in doubt, call DEP Customer Service at (718) 595-7000 to speak to one of our representatives. DEP will never reach out to you for your Social Security number or banking information. DEP offers customers several safe and secure payment options. More information can be found here.